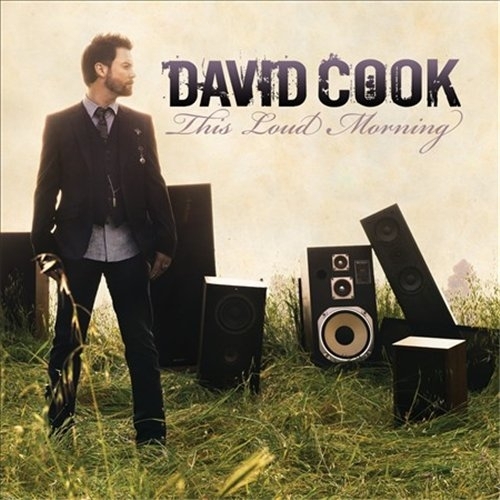 David Cook's second major label album was released two weeks ago. It's called This Loud Morning (RCA). I have written about my exploits (and posted pictures via Facebook) while in thrall with David. I don't, however, consider myself a super fan. As in, I only stalked him in legal ways and I don't think he's God's Gift to the Music Industry. I loved several songs on the first release in 2008 ("Lie" in particular, but also "A Daily Anthem," "Declaration," "Bar-ba-Sol."). He took three years to release this record and so far, it's struggling a bit. Early days yet, I realize, but I bought the album and I'm kind of ambivalent about it. This isn't a music review at all, by the way. I'm just ranting. Unlike a great many Internet-blog-forum-posting Cooktards, I actually liked the first single. It's called "The Last Goodbye"--it's poppy and hooky and damn catchy. Good for summer, you know? Plus, the music video is just this side of morbid and I quite like that. I've only listened to This Loud Morning through twice. That in itself is pretty unusual for me, because I am not an album listener. I liked the opening track "Circadian." It's unusual, has good lyrics, innovative. And I liked "Fade Into Me" and "Goodbye to the Girl." There's been a lot of defensiveness in the official forum (which I just peeked in to see) about how the album has a loose concept and it takes you on a "journey" and it is showing "progression." It's a "seminal album," one that "deserves to be heard." Here's what I heard: a lot of songs in the middle that sounded the same. I suppose for some, that means the album blends sonically. For me, that means that while I was lying on my parents' bed with the songs playing from my laptop at four o'clock on a July afternoon, I couldn't distinguish between songs. I was discussing this briefly with a friend and we agreed that the song structure is what is contributing to our sense of "it all kind of sounds the same." There's a verse-impassioned chorus-verse-impassioned chorus-bridge (with the same lyrics as the chorus)-then ramp up into the big chorus once again feel to many of the songs that I think my friend noted on the last album. Listening to essentially the same structure for forty minutes gets tedious. I didn't hear too much that grabbed me. In fact, it was kind of depressing in a way. Granted, this album was written after winning American Idol and more importantly, after David's brother died, so I didn't expect it to be happy, per se. He's developing his style still and it's a style that isn't full-on rock and isn't full-on pop. Kind of falls in the middle of alternative land somewhere. "For the First Time" by The Script. But really, anything by them is listened to a lot. At a lyrics level, The Script often focuses on relationships ending, but the lyrics are clever, the tempos are varied. It's got a rhythmic and pop feel that sounds cheerful on the surface. They're damn catchy. There isn't a heavy feel to the production. "If I Die Young" by The Band Perry. Gorgeous song. Relatable lyrics. "Rolling in the Deep" by Adele. Well, duh. What is everybody listening to in heavy rotation these days? Have you ever listened to a song or an album by an artist you like and sort of scratch your head in response? I suppose it'll grow on me. 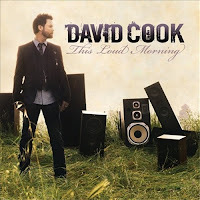 If you happen to listen to some of the iTunes clips for This Loud Morning, what do you think?